She blasted her way onto the airwaves seven years ago and now, without a doubt, the popular radio DJ and TV presenter has become one of South Africa’s most loved personalities. 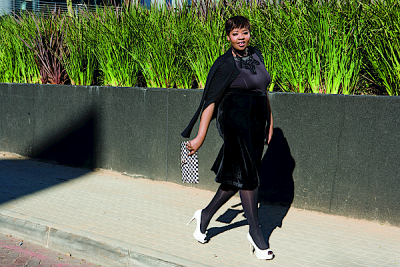 Always outspoken and often funny, Anele Mdoda is the girl everybody loved to party with. She began her career as a radio DJ at Tuks FM while studying at the University of Pretoria before being snapped up by 94.7 Highveld Stereo in 2007. A year later she moved to 5FM where she was an instant hit. Soon, in addition to being on air, she had nightclub owners clamouring to get her to gig at their venues – and so a party girl was born. “It was my job to entertain people. I lived for that,” Anele says. But in the process she lost sight of what was really important.